Fifty years ago today 17th April 1964 there was a debut of one of the most iconic cars ever produced and turned the phrase “Pony Cars”, that car of course was the Ford Mustang. 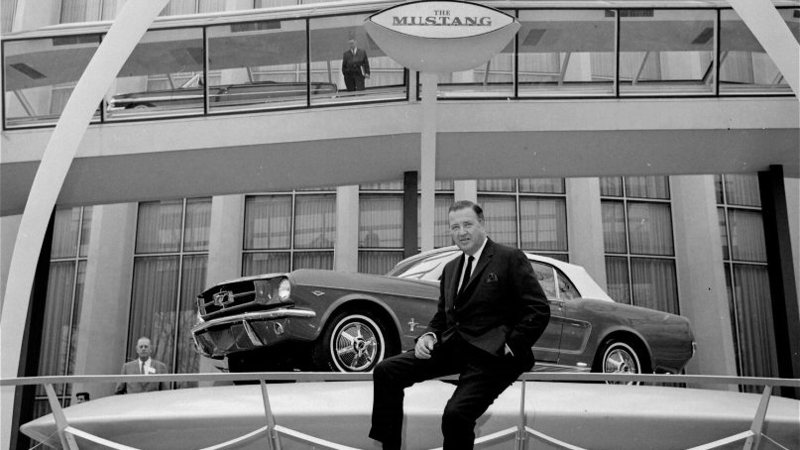 The Mustang was unveiled by Henry Ford II at the New York Worlds Fair costing $2,368. Nothing before or since in the automotive world has rivalled the Ford Mustang’s launch spectacular across all media platforms. The car was even taken apart and reassembled on top of the Empire State Building. A feat which is due to be repeated for the 50th Anniversary by Ford. The publicity was in the big magazines at the time (forgive the pun), such as Time, Life, Newsweek etc. TV adverts teased the viewer with “coming soon”, newspapers you couldn’t get away from “the” car for the masses. Dealerships were primed and ready to go for the big day. Ford’s publicity department absolutely nailed this launch and they have never looked back, except to see just what a massive impact the car had on the start of the American Muscle Car market. The Mustang has been copied but never equalled in status, design and that classic name “Mustang”. Ask anybody to name an American Muscle Car, you can bet that “Mustang” would be the first words they say. Every generation young and old seems to know what a classic Mustang is and can point one out of any model style going down the road. The dealers were inundated with requests for the sleekly-styled new vehicle, to say it was an instant hit would be an understatement. In Garland, Texas, 15 customers thronged to bid on the same Mustang. The winning bidder resorted to sleeping overnight in his new car so that it wouldn’t be sold out from under him before his check could clear. Ford initially forecasted annual sales of about 100,000 units. On the first day alone, dealers took 22,000 Mustang orders. 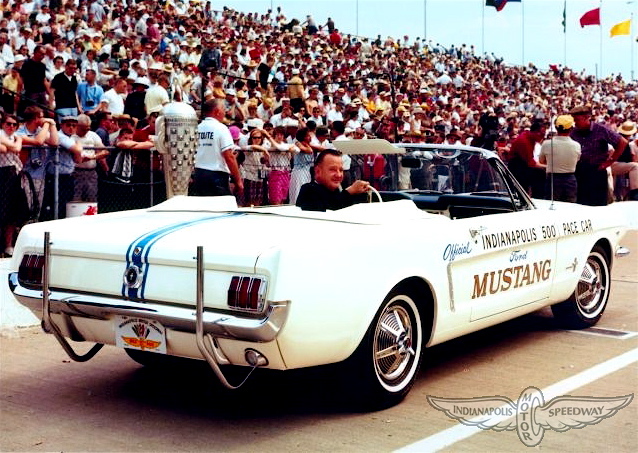 Shortly after its introduction, the fledgling vehicle’s success was official when it was featured on the racetrack as the pace car for the 1964 Indianapolis 500. During the Mustang’s first 12 months on the market, sales built to an astounding 417,000. Within two years, sales had catapulted to one million. dubbed the 1964½, because it was launched at an unusual halfway point during the year. ” performance and luxury variants, which featured the most extensive roster of options Detroit had offered to date. Three distinct body styles were manufactured; convertible, hardtop and fastback. an original print ad declared, and it was true. Everyone who owned a Mustang believed no one else had a vehicle like his, and yet the Mustang had enduring universal appeal. Despite its status as an icon of automotive lore, the Mustang remains as wildly popular as ever with enthusiasts everywhere, from the already five generations old of Mustang to the sixth starting in 2015. This entry was posted in General and tagged 17th April 1964, 50th Birthday, Empire State Building, Henry Ford II, Indy 500 Pace Car, Life Magazine, Muscle Car, Mustang, New York Worlds Fair, Newsweek Magazine, pony car, Time Magazine. Bookmark the permalink. I ran across this story you wrote when I was reading your post about the magazines. Really excellent article, and I just loved the photos. As an avid Mustang fan, I have a question for you. I am curious to know your opinion of the new ( 2015 on) Mustang body style. I know that you are very passionate about the classic style, which I love as well. So, let me know your thoughts. And again, thanks for a great post. Ha ha, yes. They are really fun, more of the old school pure muscle like an older Mopar, but with tons of modern comfort and tech. All the new muscle cars are great. If I had a Jay Leno back account, or like Richard Hammond from Top Gear, I would have one of each. Mustang for life! Great tribute, Mart! Thank you! It’s the concise yet comprehensive coverage on Mustang! Great history!! Looking forward to the celebrations at the Silverstone Classic later in the year. Will yours be ready?? would love to see you there!!! I would like to be there but I doubt she will be ready unfortunately. I may still turn up nearer the time. Hi, of course you can reblog. 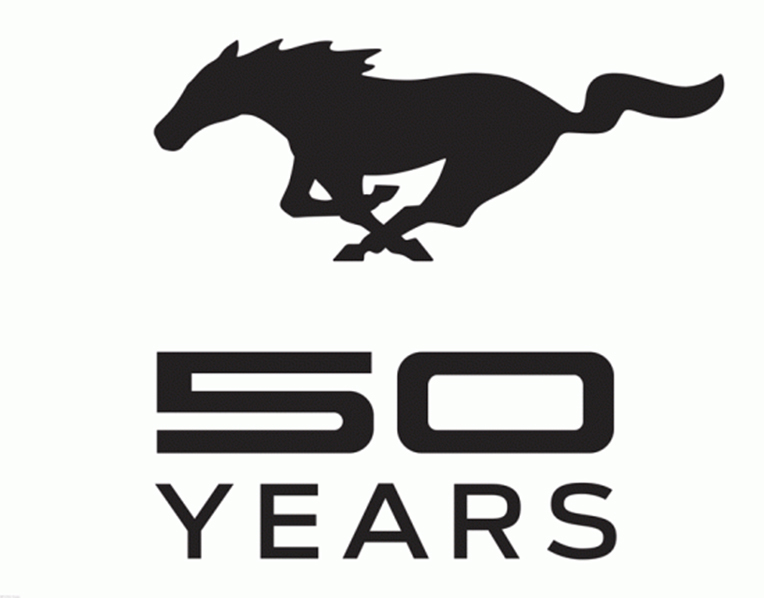 Happy Birthday Mustang…well, I’m off to Ford World Headquarters for the event. 51 Mustangs in a horseshoe shape??? One for every year and an extra one I guess??? Hope there’s not a zillion people there!! !